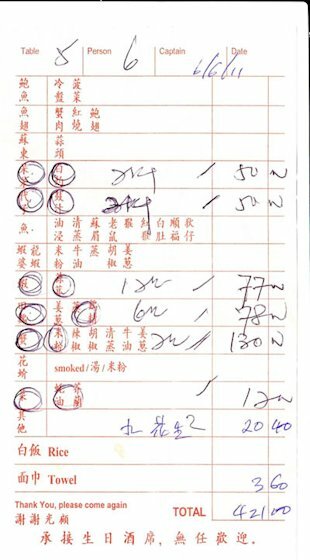 Team Angling Addicts ( AA ): Would you pay $130 for a plate of crab bee hoon? Would you pay $130 for a plate of crab bee hoon? The chef of a popular seafood restaurant at Geylang has defended charging his customers high prices, including $130 for a plate of crab bee hoon. 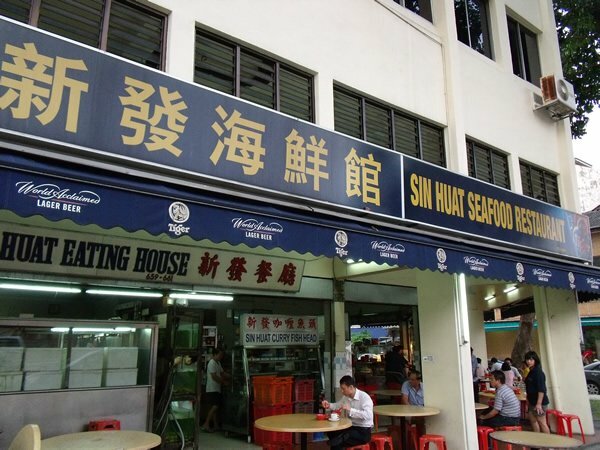 The restaurant in question, Sin Huat Seafood Restaurant, is under the spotlight after a Yahoo! reader said she was charged $421 for a dinner for four adults and two children when she visited the eatery for dinner earlier this month. Salesperson Gelene Ong, who went there with her family of six, received a rude shock when she saw the final bill. Her dinner consisted of crab bee hoon ($130), scallops ($50), conch or gong gong ($50), prawns ($77), frog legs ($78) and vegetables ($12). Other items on the bill were peanuts and drinks ($20.40) and wet towels ($3.60). However, chef Danny Lee said in response, "It's all a one-man show. Every dish we have, I make sure I take the orders and cook it myself. I also make sure that my ingredients are clean and fresh." When Yahoo! Singapore visited his restaurant this week, he also explained the steps he takes to ensure that his dishes are fresh. "For my gong gong (conch), I always tell people 'if you don't take my gong gong here, try not to take it elsewhere. I keep my gong gong in the tanks for a week for it to clear out the mud and dirt." He also voiced his doubts that other seafood restaurants actually serve live seafood. "They are serving such a big crowd everyday and they always only have a few fishes in the tanks. At the end of the day, you still see the fish swimming in the tank," said the chef. At the time, customer Ong said she had visited the restaurant because the place was recommended by her friend who said she should try the crab bee hoon. But she said she "didn't expect it to be so expensive" and was also put off by the lack of communication between her and the restaurant. She was not informed of the prices when her orders were taken. "The restaurant had no menu. 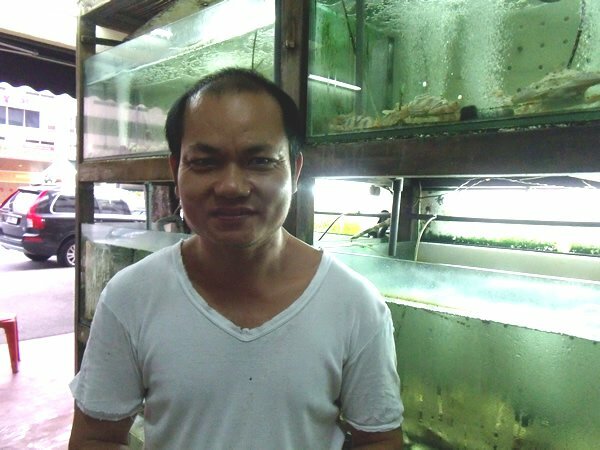 The service crew was also pushy about getting us to order an extra fish when we already had so much food," Ong added. The extra fish she was asked to order was Cheng yu, otherwise known as Parrot Fish, and it comes at $120 per kilogram. Chef Lee clarified that his restaurant does not provide menus. "We don't have a menu. People who come here know me and, most of the time, they will ask me how much the dishes are. It just happened that on the day she visited the restaurant, she did not ask for the prices. Even if she asked, I would not have charged her differently," Lee said. 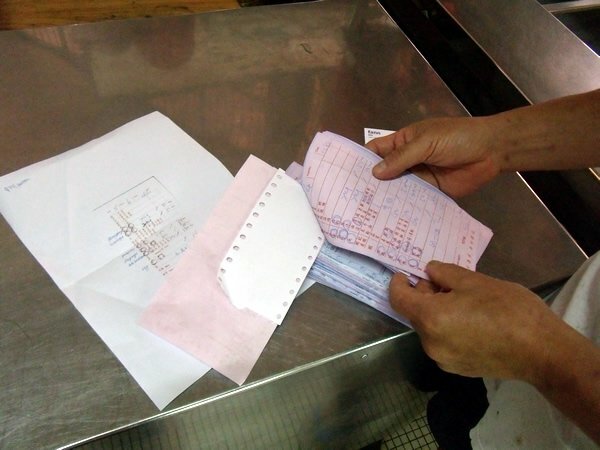 Chef Lee took out a stack of receipts to show the amount paid by other customers. It was exactly as he said: the prices were standardised. It's not the first time the seafood restaurant has hit the headlines. Chef Lee, who is known to be the "food nazi of Geylang", can be quite obnoxious, according to reviews posted on popular food site HungryGoWhere. Potential customers visiting Sin Huat are also warned to be prepared for long waits and should avoid ordering from food stalls beside the restaurant. "Sometimes people complain I serve too slow. I only have two hands and I'm the only cook. People may see me looking like I'm angry or impatient because I have no time to entertain them," Chef Lee explained. His favourite customers are those who know how to appreciate good food. "No point buying cheap food and it doesn't taste good. There's nothing special about that," said the owner of the restaurant who's hosted the likes of celebrity chef Anthony Bourdain. Expensive meals have been in the limelight recently. Last month, Yahoo! Singapore ran a story about nasi lemak going for $8.30 along Upper Serangoon Road. An expatriate diner was also charged $1,107.32 for a seafood lunch for two at Boat Quay's Forum Seafood Village Restaurant earlier this week, reported Today newspaper. CASE has received 12 complaints for alleged overcharging by food and beverage outlets from January to May this year.